Fall weather is finally here as the equinox officially began on September 22nd this year. Many activities that are associated with the autumn season have begun such as football, soccer, volleyball, wrestling, hockey, and other sports. After a long summer, the MLB playoffs are also right around the corner. We have some new songs that you might want to bring with you when you are on the bus to play an away game or are taking a break from your busy schedule. First up, is a product from DJ Ben Frank with a title that is similar to the Subway restaurant franchise called “Plugway”. 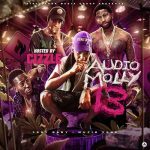 This DJ has some of the best mixtapes on the internet that should be taken into serious consideration when you are tired of the same funk and need new tunes. Artists to check out on this drop include emcees such as Gucci Mane, Tory Lanez, Rick Ross, Chief Keef, Lotto Savage, Ziplock Domo, Young Dolph, Sizzle, Offset, Block 125, 704, Young Scooter, Topdolla Sweizy, HD Mafia, Lil Woo, Future, and much more on this playlist of 19 new songs. Next, in this blog review comes a release from Connecticut’s own DJ Big Mike. This guy has been in the game for a long time, ever since this site was started. He has always brought the streets quality mixtapes and stays consistent with his drops. 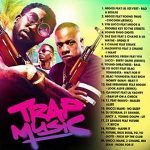 The “September 2K16 Edition” in the franchise labeled “Trap Music” gives you the most popular tracks from the south currently in rotation. 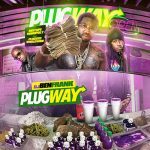 Look for tracks on this volume by Migos, Lil Uzi Vert, Young Thug, Dae Dae, 2 Chainz, MadeinTYO, Cash Out, Lil Yachty, T.I., Rae Srummurd, Rich Homie Quan, Juicy J, Rick Ross, YG, Big $ean, and many other popular recording acts. Florida native DJ Billy Ho is back on the scene with another volume of the “R&B Takeover” mixtapes. Part 19 of the franchise is hosted by musician Anthony Lewis. The host gives you 7 of his newest songs on this drop. Other singer-songwriters making the cut on this product such as David Correy, Tank, Fabolous, Trey Songz, Th3rea$on, Tory Lanez, Just Bieber, Travis Garland, Rotimi, PARTYNEXTDOOR, Usher, Eric Bellinger, Mike Mass, Sevyn Streeter, Zayn, Tinashe, The Weeknd, Verse Simmonds, Bryson Tiller, Kid Ink, and other top industry performers on these free mp3 downloads. 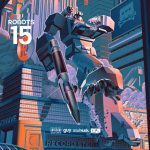 Finally, southern DJs 3rdy Baby and Muzik Fene release to the block another installment of the “Robots” series. This product consists on a 27-track playlist with a collection of the hottest tracks out on the streets that you might also find on other mixtapes. Part 15 of the series plays you records by hip hop emcees Future, Trill Sammy, Ugly God, CosaNostra Kidd, Lil Uzi Vert, OG Maco, Kodak Black, Veto, TM88, Drocavich, Kodie Shane, K. Camp, Rich The Kid, Zoey Dollaz, MVP Flaco, Bandit Gang Marco, Lil Duke, T-Shyne, A Boogie Wit Da Hoodie, Ralo, Young Thug, Trouble, and a group of other down south hip hop artists. This wraps up another blog post showcasing some of the best titles on the site. Premium membership on the site comes with many benefits and privileges. You can find out more about becoming a member of the best in free mp3 download sites by going here.